The winter holidays will be here very soon, and people everywhere will begin decorating their homes, workplaces, and towns with festive lights and trimmings. It is definitely a beautiful time of the year. However, there are a few safety reminders that are important to keep in mind as you tackle your decorating activities. In this article are a few things to consider as you prepare for the holidays. 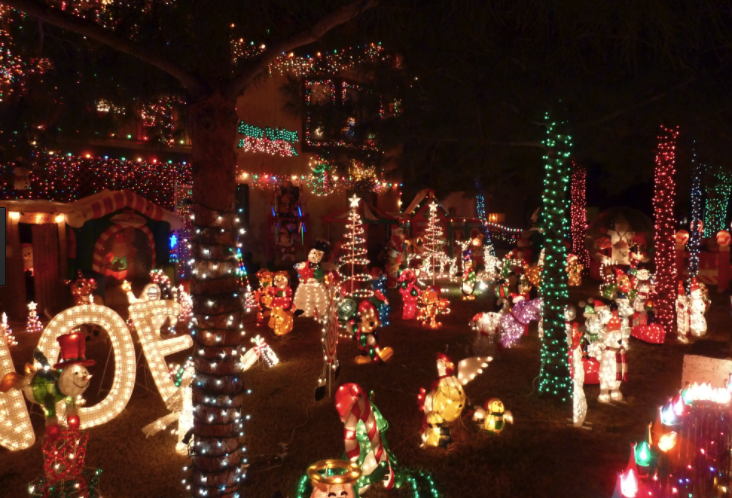 As you begin to pull out older holiday lights that you have stored, double check the cords for cracks or frays. If you see anything out of the ordinary, it is best to replace the lights. Any electrical cords that have cracks or frays on them can be a fire hazard, and should be discarded. Any light strands should have the markings of a safety test by an independent laboratory, such as Underwriter’s Laboratories (UL). You may want to consider purchasing LED lights, especially ones that will be used in conjunction with live greenery, such as trees or wreaths. LED lightbulbs are energy-saving bulbs that do not get hot; therefore, are safe to touch and do not pose a fire threat like incandescent lightbulbs. LED bulbs are also very durable because they are made with epoxy lenses, and not glass. When using multiple strands of lights simultaneously, do not use more than three strands per each extension cord. If an extension cord is too overloaded, then there is a risk of spark or fire, and that is a danger that you want to eliminate at all times. As beautiful as holiday lights can be throughout your home, it is wise to turn them off when no one is home or when you and your family members retire for the night. Electrical items such as holiday lights can malfunction without any notice and start to smoke or spark. If you decorate the outside of your home with lighting features, it is important to safely secure the lights to your shrubs, trees, or home. Undoubtedly, there will be some days of strong winds throughout the winter months, and it is important to keep your lights from acquiring any wind damage on those blustery days. Candles are also used quite often during the holiday season. Candles should not be left unattended. Always extinguish the flames of a candle prior to sleeping or leaving your home. Be careful to keep candles away from trees, decorations, wrapping paper, or any combustible materials. As an alternative to traditional candles, you may wish to invest in battery-operated candles. The winter holidays are an exciting, magical time of year. Although it is fun, traditional, and beautiful to decorate with lights on trees, on tables, in yards, or on homes, it is important to remember safety recommendations. Let’s all try our best to provide holiday beauty, while still protecting our valuables and keeping our friends and families safe.